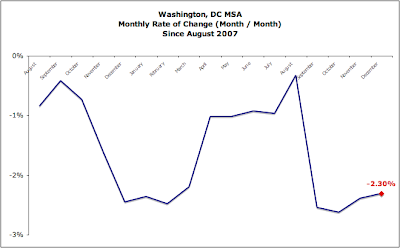 Any info on local, Washington DC Price-to-Rent and Price-to-Income ratios? 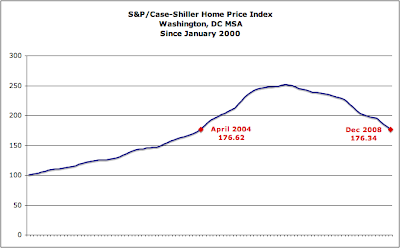 Those ratios are both key measures of house prices. I've seen graphs of these ratios using national data and those graphs suggest prices will fall farther (in the range of 10-20%). 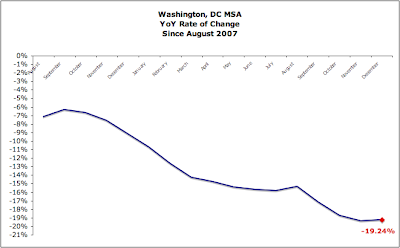 Do you think DC pricing will bottom out soon given that the economy here isn't nearly as bad as it is elsewhere?